Pop some gorgeous color into your look with this amazing Michele strap. 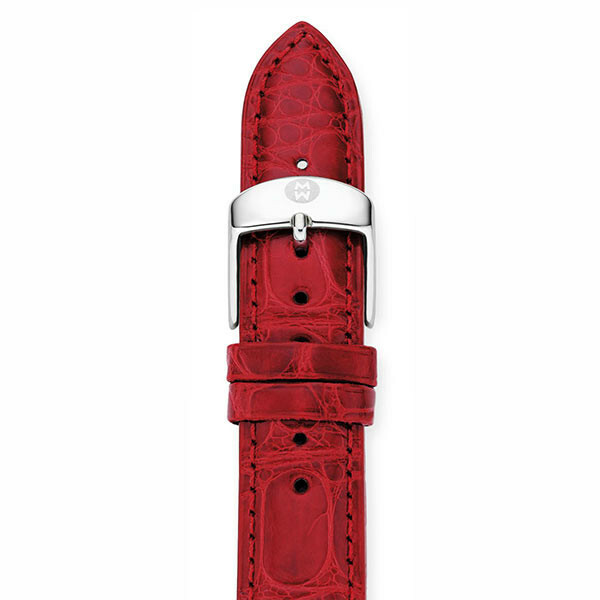 Crafted from alligator, this garnet strap has a rich, textured design that will complement a Michele watch head. The signature Michele logo is engraved on the stainless steel buckle and will securely hold your timepiece in place. The fun of owning a Michele watch is the ability to easily change its look. What Michele strap will suit your mood? The JR Dunn 10-day guarantee is available with the purchase of this Michele watchband.